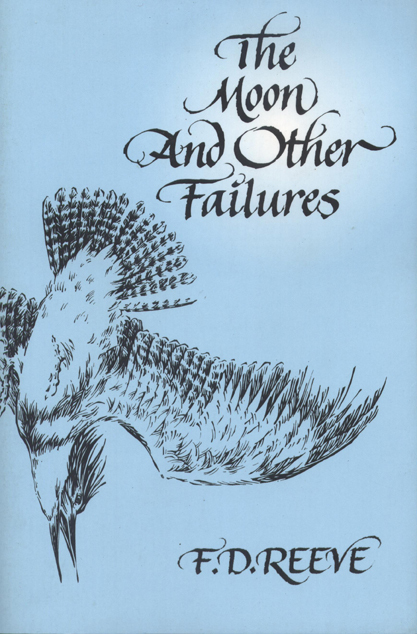 The Moon and Other Failures presents two dozen new lyrics and a long dramatic narrative by F. D. Reeve, winner of the Golden Rose for lifelong poetic achievement. Reeve is a thinking-person's poet-meditative, weaving memories, mythic figures, personal reflections, and natural observances to arrive at larger truths. The short poems range from the elegiac "Village Graveyard" and philosophical "Coasting," a poem of almost perfect proportions, to such love poems as "Voices," and the witty "Telephone." Some of the poems express the sadness of irrecoverable loss; some the inevitability; and some rejoice in consequent rebirth and renewal. Repeatedly, throughout the book, the past is brought up against the present, this world against the next, the particular against the general.